In August of 2016 Jacket Stadium was renamed Cam'Ron Matthews Field. Cam'Ron Matthews passed away last October, 2015 after falling ill during a football game between Alto and Price Carlisle. 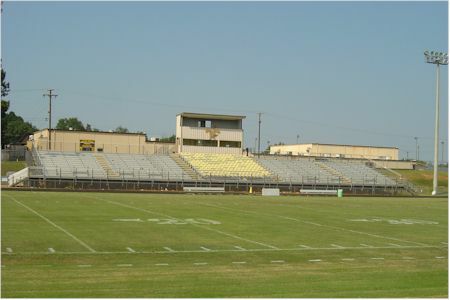 Cam'Ron Matthews Field (formerly Jacket Stadium): Home of The Mean Sting replaced Student Field (built in the 1920s) which was locate across town in a residential area. The new facility was completed and ready for use in 1994 next to the high school. Very Wheel Chair friendly stadium.